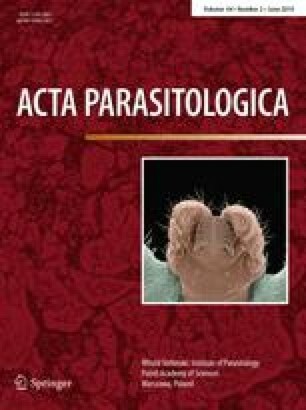 Canine thalaziosis caused by the spirurid nematode Thelazia callipaeda has started to spread across Western and Central Europe during the last decade. In Slovakia, the first autochthonous cases of this infection were recorded in 2016 in four dogs from the south-eastern part of the country. In August 2017 other autochthonous case, again from the same locality, was reported. Seeing that red foxes are considered the main reservoir hosts for T. callipaeda, their examination could provide an integrated view of the real parasite distribution. Within the present study, 523 red foxes were examined by necropsy, and T. callipaeda nematodes were recovered from the conjunctival sacs of 7 animals, which represents an overall positivity of 1.3%. Six infected foxes originated in eastern Slovakia, which is consistent with the area where positive dogs were recently found. Also, single positive red fox was found in north-western Slovakia. Regarding morphology and morphometry, the specimens recovered from the foxes in this study were evaluated as larger in size when compared to nematodes isolated from Slovak dogs as well as dogs and foxes from other studies. BLAST analyses of the cox1 gene showed that all specimens isolated from Slovak red foxes were identified as haplotype 1 which circulated also in other European countries. Considering that majority of the infected animals, dogs and foxes, came from Košice region, we can presume that this area might become endemic in a short period of time.